It's a battle for every gram: by 2020, the CO2 emissions limit for new vehicles in the EU will be 95 grams per kilometer (152.9 g/mile), which amounts to around four liters of fuel consumption per 100 km (58.8 MPG). This target is to be achieved through both alternative drive systems and lighter vehicles. Even in hybrid and electric vehicles, every gram of weight saved helps conserve resources and increase range. As the global leader in automotive seating, Johnson Controls was quick to identify the task at hand, and has for years made lightweight construction a priority in its research and development. In Frankfurt, the company will be demonstrating how it intends to actively help shape the future of automotive seating. "By using a wide range of technologies, we have been able to reduce the overall weight of our seats by a total of 20-30 percent over the past 10 years," explained Dr. Detlef Jürss, group vice president and general manager Product Group Seating Components at Johnson Controls. "As recently as 2010, a front seat structure weighed 14 kilograms; in 2015, we were able to reduce it to around 10 kilograms. 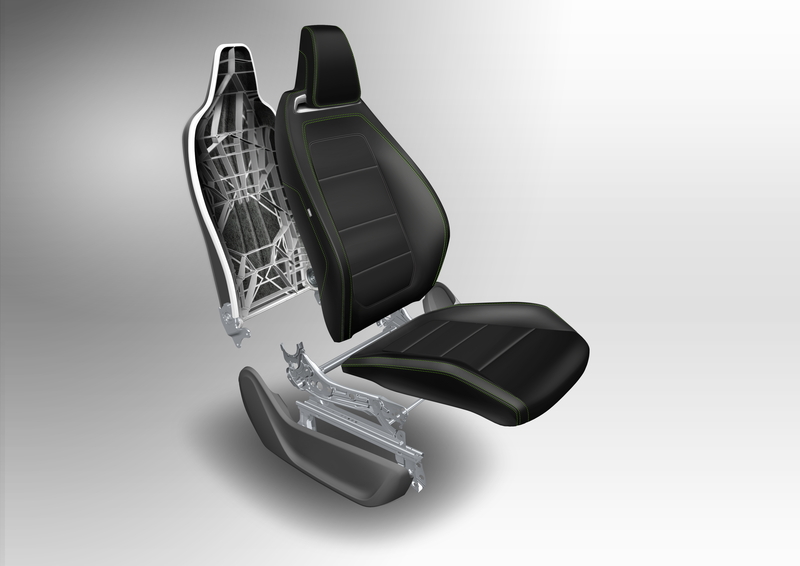 Our express goal is to reduce the weight to well under 10 kilograms by 2020, while simultaneously making the automotive seat more and more like a multifunctional element with diverse electronic adjustment options and technical features. Our designers are faced with the challenge of combining this with the need for a reduction in weight. And, of course, with ensuring that these seats also meet the highest safety and quality standards." Based on its achievements, Johnson Controls already has concrete seating solutions for the lightweight construction megatrend and for emissions reduction. "Experts have come to the conclusion that automakers need to more than double the number of lightweight components by 2030 to two thirds in total if they are to comply with the EU's CO2 specifications," said Jürss. "For us as a supplier, this means that the standards for the next decade have clearly been set: The greatest expertise in processing lightweight materials will determine who will become the leading suppliers in the decades to come." Johnson Controls' expertise can already be seen in many of its current development projects, such as CAMISMA (Carbon-Amide-Metal-based Interior Structure using a Multi-material system Approach), Tailored Hybrid Tubes and the RECARO Sport Seat Platform (RSSP), which is ready for series production. In order to realize future seat models, the company is combining the use of lightweight materials with innovative seat concepts and proprietary manufacturing processes. Besides maintaining at least the same safety and comfort features, the aim is not only to reduce the weight of the seats, but also to produce them as cost-effectively as possible. The focus of the multi-material approach is on increasing the amount of lightweight materials, such as fiberglass-reinforced plastic (FRP), carbon or aluminum, in the finished seat. "For example, in the CAMISMA project, subsidized by the German Federal Ministry of Education and Research, we are working on a lightweight backrest structure for use in large-scale production, for which we combine steel, FRP, carbon-fiber nonwoven material and thermoplastic tapes made of carbon filaments in a multi-layer design," explained Jürss. "According to the current project status, the CAMISMA backrest is more than 40 percent lighter than conventional backrests made of metal, with equivalent performance in terms of safety. Also, carbon can be processed far more efficiently than before - reducing waste from 50 percent to less than 5 percent." 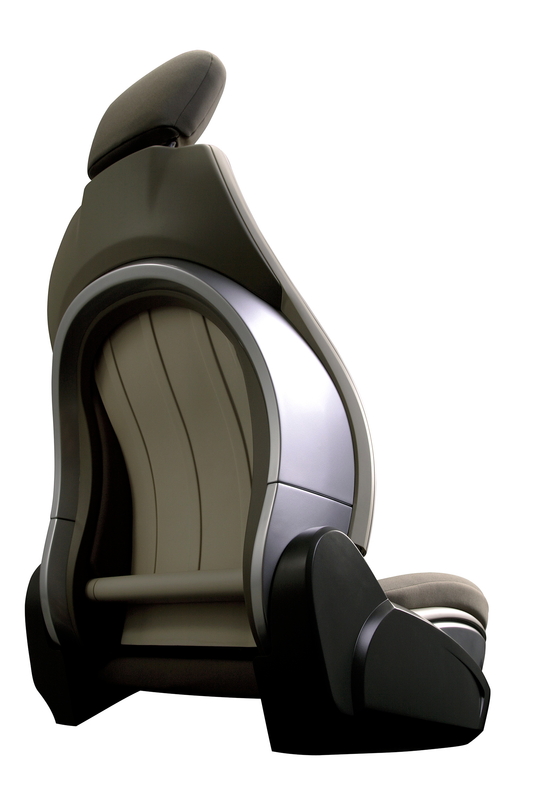 Besides using lightweight materials, Johnson Controls also manages to reduce weight with new seat concepts featuring integrated functions that require less material. While offering the same range of features, today's seats require far fewer components, with each component performing multiple functions. Johnson Controls managed to decrease the amount of parts for a backrest structure by about 50 percent. As less parts are required, far fewer assembly and production steps are needed, which in turn reduces costs. "As with all new developments, the cost factor must always be borne in mind", explained Jürss. "After all, our long-term goal is to use the new technologies to equip mass produced, and not just premium segment, passenger vehicles with our seats. This is also the aim of our Tailored Hybrid Tubes lightweight construction project for which we employ a combination of steel and aluminum. Because the tubes for the respective seat model are 'tailor made,' this generates huge material savings." A high level of cost efficiency and global availability will also be ensured in the future through the modularity of non-visible structural components in the backrest and seat substructure. This base can be customized and equipped with various optional features. Trim covers and padding can also be designed to suit individual needs. "We will be presenting this at the IAA in two versions of the RECARO Sport Seat Platform (RSSP) with the aim of targeting manufacturers of sports and super sports vehicles," said Jürss. "Although both share a common base, they are two completely different seats. The RSSP Comfort offers extensive padding and multiple configuration options, while the Sports Extreme is a sports seat through and through." Johnson Controls will also demonstrate its lightweight construction expertise on the seats of the SD15 seating demonstrator, which presents customers with the company's latest products and technologies in a realistic vehicle environment. Among others, Johnson Controls will showcase its curved track technology, which eliminates the need for complex mechanisms found in conventional seat arrangements and thus reduces weight. The 66th International Motor Show (IAA) Cars will be held in Frankfurt from September 17 to September 27, 2015. The world's leading auto show will be open to the media on Tuesday, September 15, and Wednesday, September 16, and to industry officials on Thursday, September 17, and Friday, September 18. It opens to the public from Saturday, September 19, through Sunday, September 27. For more information, please visit: www.iaa.de. Johnson Controls is presenting its innovations to the media and guests from September 15-27, 2015 in Hall 5.1, Booth B24. Johnson Controls is a global diversified technology and industrial leader serving customers in more than 150 countries. Our 170,000 employees create quality products, services and solutions to optimize energy and operational efficiencies of buildings; lead-acid automotive batteries and advanced batteries for hybrid and electric vehicles; and seating components and systems for automobiles. Our commitment to sustainability dates back to our roots in 1885, with the invention of the first electric room thermostat. Through our growth strategies and by increasing market share we are committed to delivering value to shareholders and making our customers successful. 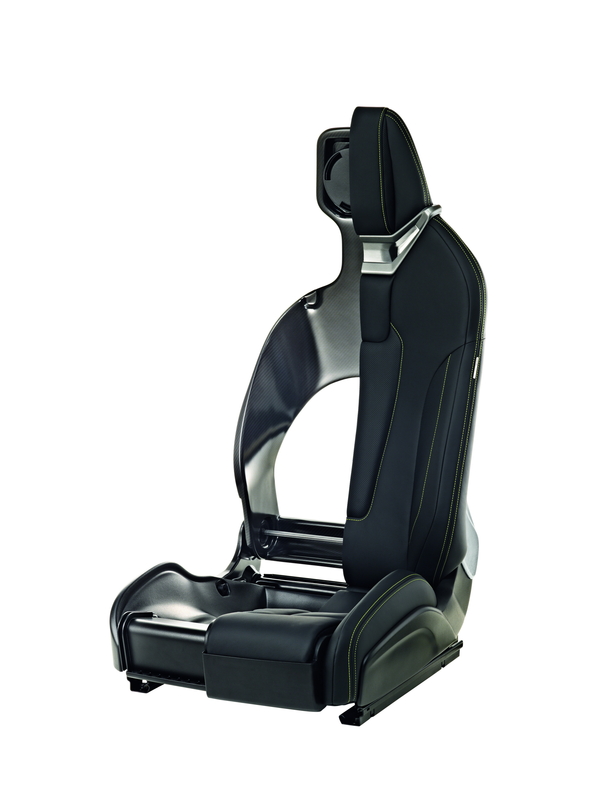 Johnson Controls Automotive Experience is a global leader in automotive seating components and systems. The company supports all major automakers in the differentiation of their vehicles through its products, technologies and advanced manufacturing capabilities. With more than 200 locations worldwide, Johnson Controls is where its customers need it to be. Consumers have enjoyed the comfort and style of Johnson Controls products, from single components to complete seat systems. With its global capability the company supplies more than 50 million cars per year. Johnson Controls pursues a spin-off of its Automotive Experience business. Following the separation, which is expected to close in the third quarter of 2016, the Automotive Experience business will operate as an independent, publicly traded company. Bruce McDonald will serve as the chairman and CEO of the new company. Beda Bolzenius will serve as president and COO.